WRITING can be a rewarding pastime but it can be a little lonely. 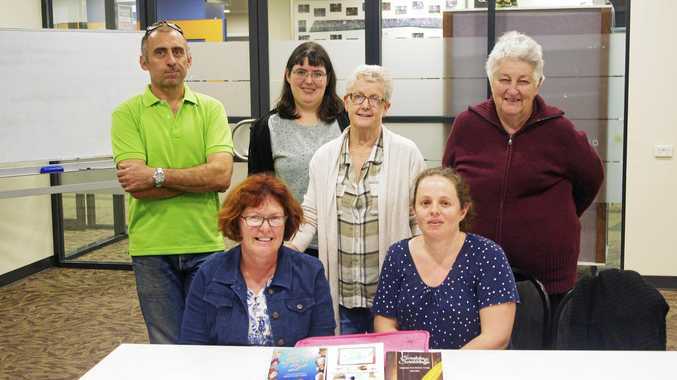 Mona Oliver, of the Gladstone Area Writers Group, says that's one of the benefits of meeting each month. "It's good to get together in order to encourage one another," she said. "Sometimes you can get a little bit stuck, so the meetings boost you along. "We often swap stories around to get feedback. "It's nice to have someone to say 'keep going' from time to time." The meetings average six to eight people. "But there are a wide variety of writing styles," Ms Oliver said. "Some of us prefer writing short stories or long novels, plus there's fantasy, young adult, family history and even fantasy romance." On meeting nights the group does writing exercises or mini-workshops. "It forces you to get your brain into writing mode, they make you think," Ms Oliver said. Every second year the group puts together an anthology of its work. "This year we're discussing the option of publishing an ebook," Ms Oliver said. "We definitely have to become more tech savvy as more books move online." She admitted she also loved to read. "But I hate to start because it can be hard putting a good book down," Ms Oliver said. The Gladstone Area Writers Group meet on the first Thursday of each month, 6pm, Gladstone Library meeting room.